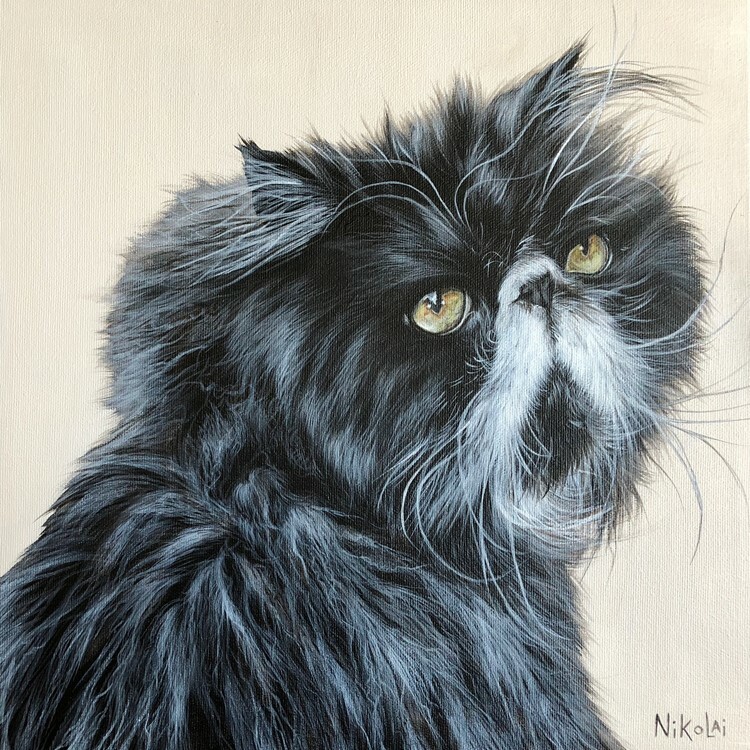 As a pet portrait artist, I’m often tasked with creating a piece that not only resembles the subject but captures the animal’s spirit or essence on a single canvas. It’s not always the easiest feat to accomplish, given that I sometimes receive low resolution reference photos or am supplied with limited details about the animal’s personality. However, when I get their likeness just right… their big ears or quirky teeth, scowl or smile, or that sparkle in their eye, I know by my client’s reaction that I’ve done a good job. Whether it’s their tears of joy, hugs, big bellied laughter, or exuberant smiles, a happy client is the greatest reward. While attending Sheridan College in Oakville, Ontario, Canada, I dabbled in different mediums, including watercolours, oils, acrylics, pastels, conte, and even gouache. I loathed acrylics the most. Fast drying and challenging to blend, I quickly vowed to drop that medium like a hot potato. Oils had my heart and that is where it would stay. But like the saying goes, “Never say never.” Flash forward to present day where I work exclusively with acrylics. Having since conquered blending, fast drying is essential to my small business. My portraits are ready to ship to clients as soon as I’ve finished painting them. In a time when everyone wants everything yesterday, speed without sacrificing quality is ideal. After college, I wandered away from illustration into graphic design, and my days of painting and drawing were put aside. 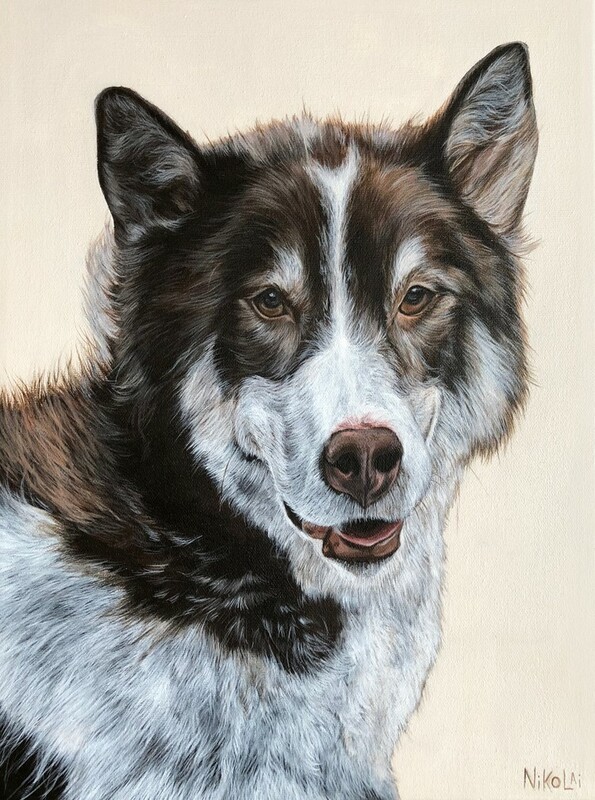 Over the years, I’ve returned to my roots and first passion – painting animals. With a deep love for horses that developed from childhood, I’ve kept riding and horses an integral part of my life. It’s this love that helped bring me back to drawing what I used to every chance I got as a child – the horse. 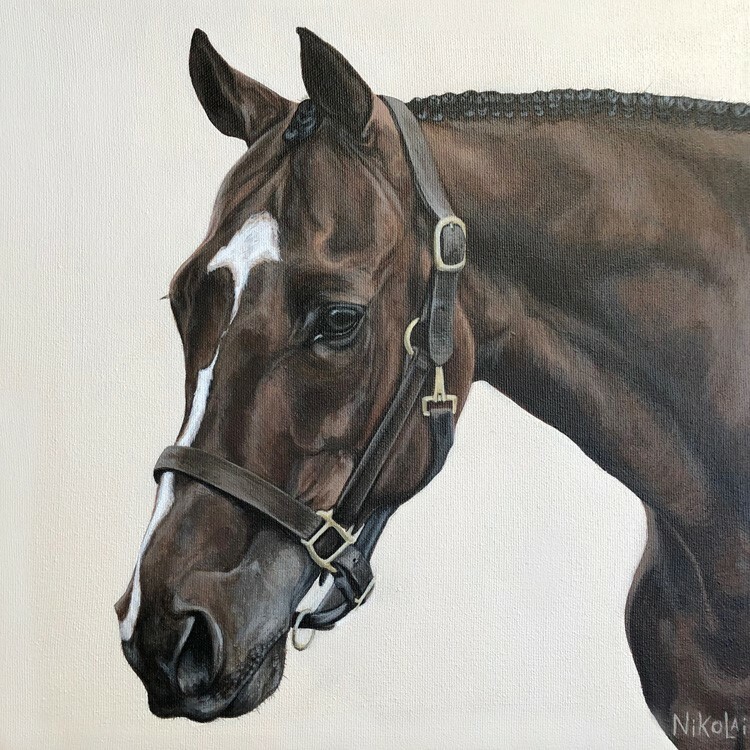 What started off as a painting for a friend of her horse and then her dog, snowballed into a little business of painting animals. Cats, dogs and horses now make up the bulk of my paintings. With no shortage of fresh subjects in sight, each new order that comes across my desk is unique. 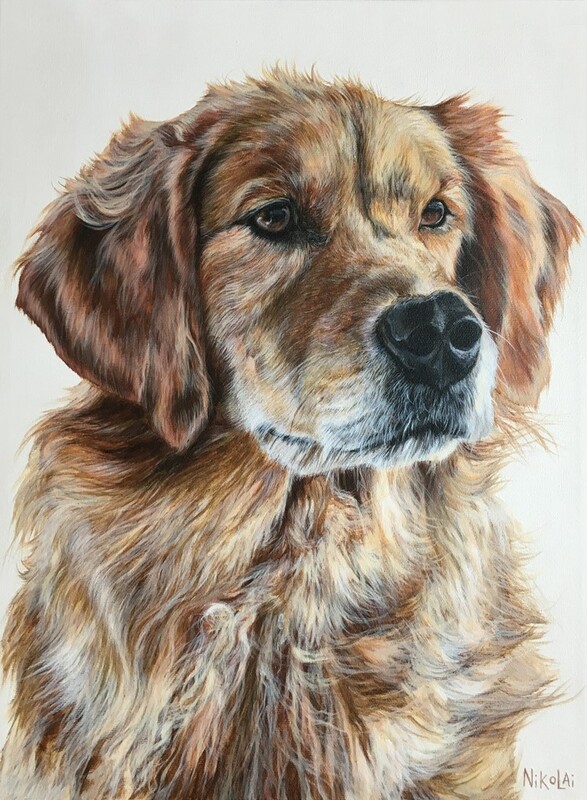 Presenting a client with a completed portrait of their beloved family member is special on so many levels. Often their pet has passed away, so the painting becomes a new treasure by which to remember them. When I’m told, “It looks just like him,” or “I cried when I first saw it,” I know that to the client, their animal lives on in the work. For that, there is no greater gift.